This will be the last newsletter for the Year 2018 and I am glad to see the end of this year on the horizon. It has been a challenging one for some of you and myself as well, and better things are coming in just a few weeks, so hang onto your hats as we welcome in 2019! I want to take a minute to thank you for working with me and walking this difficult year-plus-three-months with me. You have been exceptionally gracious and caring and I cannot thank you enough. I have a future plan to do a community thank you ritual for you very soon, so please remember to read your newsletters! MERCURY RETROGRADE – ENDS December 6th – the final one of the Year! Mercury will station retrograde in the astrological sign of Sagittarius, the Archer on November 16th. The last two Retrograde sessions have been intense, and this one is destined not to quite so bad. Of course, the usual computer backup problems, missed calls and messages, and delayed postal mail is the norm anymore for Mercury Retrograde, the Neptune planetary aspects also add in confusion and deception, which is not anything anyone wants to experience during a Mercury Retrograde. The BEST suggestion is to NOT get any repair work done, or sign any contracts, if at all possible, until after Dec. 6th. Remember that Mercury is the planet for astrological signs Gemini and Virgo, so people born under these two signs may have their work cut out for them already! Life’s lessons will return during this time, so use this time to reflect on what has occurred this year and examine your current situation. Re-frame your way of taking in information from others and finish all of what you have started so that the New Year will be prepared in advance for new beginnings! NEW MOON December 7, 2018 – This New Moon is in the astrological sign of Sagittarius, the Archer. FULL MOON December 22, 2018 – The Full (Cold) Moon is in the astrological sign of Cancer, the Crab. All I have to say is…2018 Banishing Negativity Burn! Yes, I am in the throes of creating poppet dolls for the ritual that has been a regular (with a break last year) for almost 10 years! Can you just not believe it! 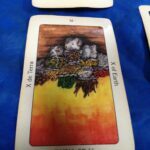 Please note that I will be doing limited readings from December 15th through January 2nd for the holidays and the Banishing Negativity Burn. Please text me FIRST at 916 – 284 – 5552 to see if I have an opening, then I will book you in and invoice you. Thanks! PLEASE NOTE: There are only 11 poppet dolls left for the banishing burn so please order yours now before they run out! Yes, It is a definite GO for the 2018 Banishing Negativity Burn on New Year’s Eve. 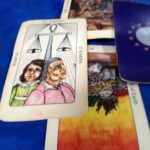 If you have no idea on what I am talking about, please go to www.freecandlespells.com or www.tarotbyjacqueline.com for past articles. PLEASE NOTE: I will be limiting the poppet dolls to a total of 24 due to the fact that I do not have my ‘elf” (aka my daughter) to assist me in cutting fabric and threading my needles as in the past. I am creating the poppet dolls now, two months in advance, since I am working solo on this project this year. 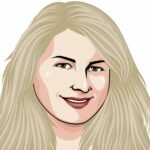 NOTE: IF YOU CHOOSE TO SEND A PHOTO, IT MUST BE OF THE PERSON GIVING YOU GRIEF – NOT OF YOURSELF OR A LOVED ONE FOR WHOM YOU HAVE PURCHASED THE POPPET DOLL. UPCOMING – Prosperity Experiment – 30 Days of Candle Vigil and daily Affirmations for your Abundance and Prosperity – begins JANUARY 5th! More soon! 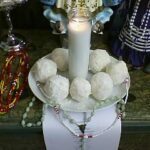 UPCOMING – Monthly New Moon candle ritual – each specific to the working of that planet in which the Moon sits in at the time of the New Moon. 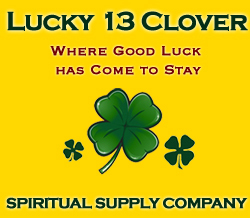 This ritual is for 12 participants only! Begins February 4, 2019! More soon! I have been spending some time in rearranging product on my shelves and on my site and I have added some new items in the CLOSEOUTS! 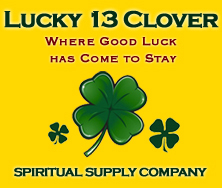 tab on www.lucky13clover.com. These are items that have been stored and now the back stock is not going to be refreshed moving forward. These items are in perfect shape and will aid and assist in getting what you want! All sales are final on the Closeouts! page. 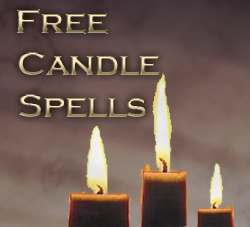 Free-Candle-Spells News – over 10 years (has it been THAT long???) 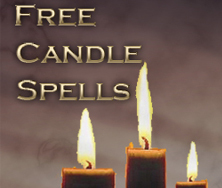 of news regarding candles, oils, rituals, herbs, and much more!